Welcome to RD2RD, a marketplace exclusively for Registered Dietitians. RD2RD brings a powerful e-commerce platform to the nutrition professional, and a destination for colleagues and the public to purchase RD-created digital goods. RD2RD is the first online marketplace designed exclusively for RDs to share / sell / buy original content via digital downloads. It leverages the talents and creations of RDs to inspire and drive RD success. Join our growing marketplace (it’s FREE)! What if you could find that perfect presentation or handout in just a few clicks, purchase and instantly download? Do you spend your valuable time searching the internet for the perfect client education tool or presentation? Do you scour listservs or social media group archives for a colleague that might have a resource to share? Those days are over. Meet RD2RD. With just a few clicks, you can search and purchase essential resources created by your peers. Selling and sharing digital resources doesn’t have to be difficult or complex. RD2RD solves the inherent issues RDs face sharing and selling original content such as client education materials, webinars, clinical resources, and business tools. Currently these items are shared / sold inefficiently on listservs, individual websites, blogs, and FB groups. RD2RD is an innovative, sharing community and puts RD-created content at the front of the line when purchasing digital goods. As the recognized expert in nutrition, RDs must have collaborative and innovative tools to make a meaningful difference in health and maintain their prominence. 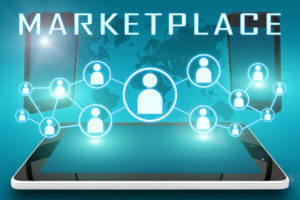 Marketplace websites have changed the selling landscape and created opportunities for entrepreneurs to generate new income streams. RD2RD is a marketplace site that is focused on the needs of RDs and their unique services and tools. It is FREE to join (basic membership) and list products. Members are charged a service fee when items are sold. Basic members earn 65% of each sale (35% service fee). Premium members earn 80% for each sale (20% service fee). A premium membership is optional and is $49/year or $5/month. RD2RD takes care of all the payment processing and delivery of purchased product to customers and site security. RD2RD brings powerful technology to the nutrition entrepreneur, with an innovative, sharing community. Do you want to sell your digital goods? Sign up with us and we’ll help you distribute your products to a wide audience. Looking for the fine print? Click the links below for all the details.